The Bassar people (or Nchama ) speak the language of the Gur family and live in northern Togo in West Africa. 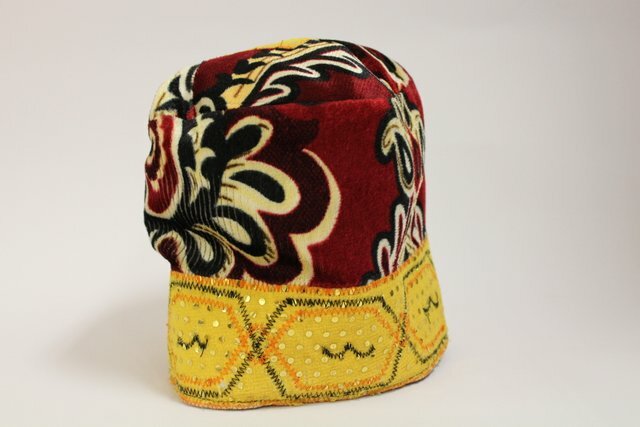 However, the man’s headwear of such a style, with soft high crown is worn by other nations in the region as well, I have seen almost the same style of the neighboring Dagomba ( where it is called zeperago ), and even among the peoples of northern Ghana. However, only the Bassar treated it with such love, they decorate it with gold sequins and tailor the crown of bright colorful velvet. 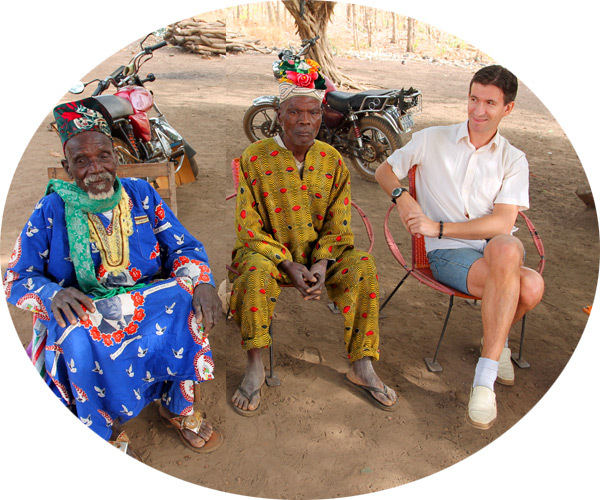 Such caps are only worn by the village elders; in the photo I am with the two most respected men of the village of Bangeli.